alicejewellery14 has no other items for sale. 25% OFF, Lowest Ever, Over 530 Sold, Never Green!!! Great product. Fast delivery. Reliable seller. A+ buying experience! A+++ on everything!!! Thank you! 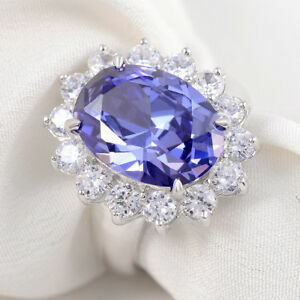 I'm no jeweler, but it's indistinguishable from a real tanzanite/diamonds I own. Absolutely beautiful. Nicer than the picture. Fast service.